Although the University has no formal attendance policy for students, the University does encourage regular and consistent class attendance. Each faculty member must therefore inform his or her classes of the attendance policy to be followed, specifying whether final grades are affected by absences, and include this information in the course syllabus. For more information about UA policy, consult the Faculty Handbook and the registrar’s office website.  The College strongly encourages faculty to take attendance in all 100- and 200-level courses.